Mark Lomas with the scrapbook his father Stanley Lomas discovered. 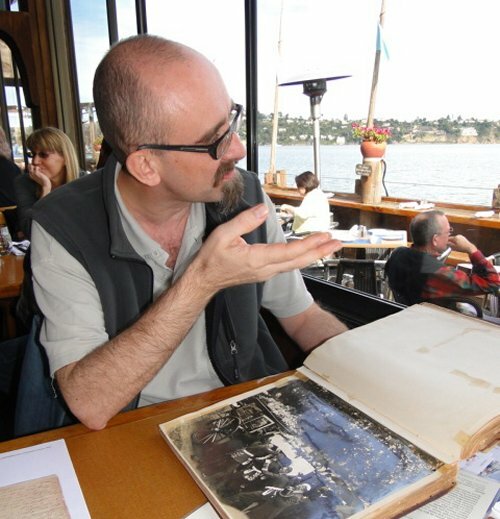 Alex Attewell, who was director of the Florence Nightingale Museum in London for over 10 years, studies the scrapbook. Edward William Bok was born in Den Helder, Holland, on 9th October, 1863. When Bok was seven years old his family emigrated to the United States. After attending school in Brooklyn, New York City, Bok found work as an office boy at the Western Union Telegraph Company. Bok had a strong desire to become a journalist and managed to get some of his work published in the Brooklyn Eagle. He continued his education at night school and in 1887 became advertising manager of the Scribner's Magazine. Two years later he became editor of the Ladies' Home Journal. Bok used the magazine to campaign for women's suffrage, pacifism, conservation of the environment and improved local government. By 1900 it was the best selling magazine in the United States. Bok retired from the Ladies' Home Journal in 1919. His autobiography, The Americanization of Edward Bok (1920) was a best-seller and won a Pulitzer Prize. He also helped to fund the $100,000 American Peace prize. Edward Bok died in Tucson, Arizona, on 9th January, 1930. From The Americanization of Edward Bok, an autobiography written in the third person:. In 1910, when he was ten years old, Stanley Lomas was riding his bike one day in Philadelphia and discovered a discarded scrapbook of Nightingale memorabilia belonging to Edward W. Bok. • See a copy of a Nightingale letter from the scrapbook. • See photos of Nightingale's funeral from the scrapbook. 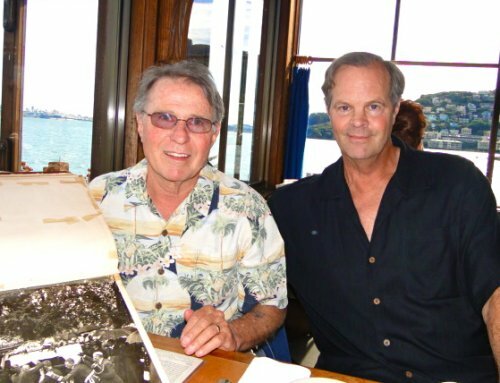 • See Mark Lomas's video of his father's discovery.